Raw paper is made from fine pure wood pulp. End product is braided by paper yarns. Appearance is round pinhole reversible pattern, can choose hollow or solid core. 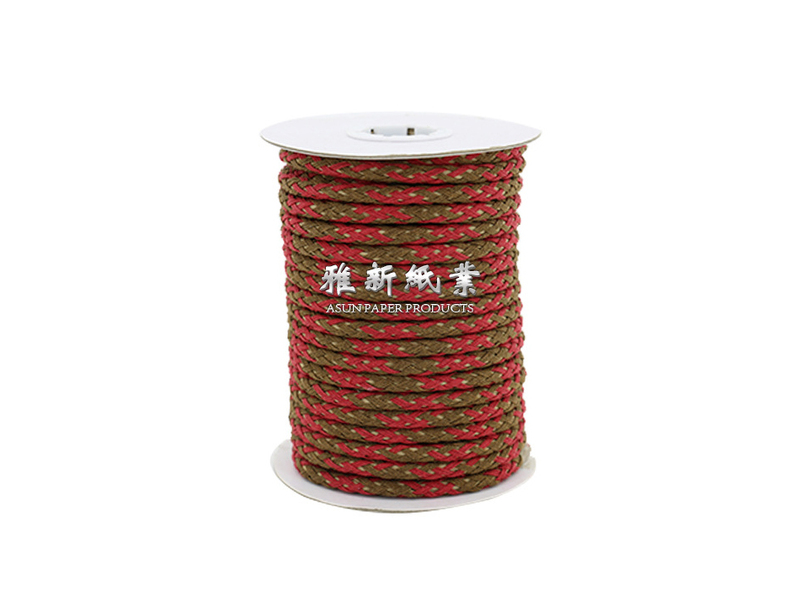 This product is a brand new and high class paper cord with uniform diameter ranges from 3~6.5mm. It not only inherits the nice appearance and good strength of the chemical cord and cotton cord, but also possess the environmental characteristic and rich colors. Can be widely used in Paper Bag Packages, Luxury Case and Bags, Crafts, Shoe Materials, Home Textiles and Clothing etc.